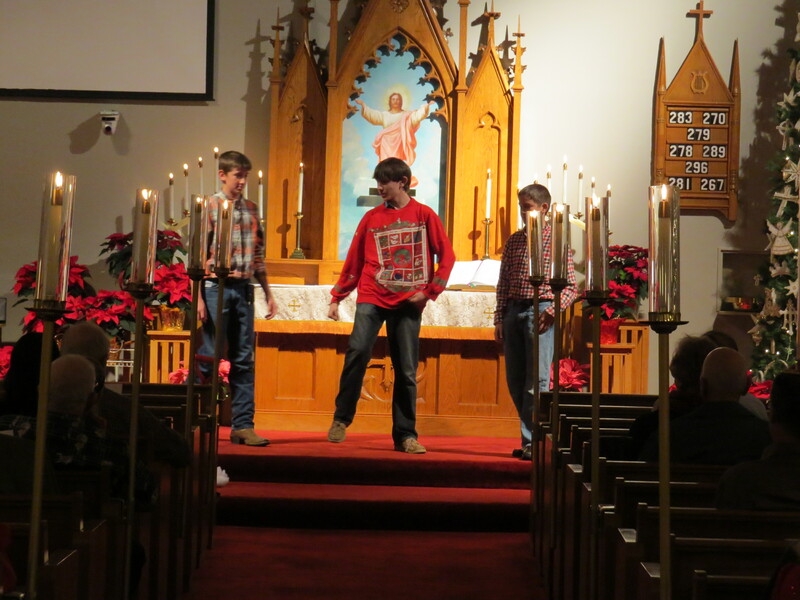 Our Lutheran Youth Organization (LYO) has been working hard preparing for Christmas Eve. 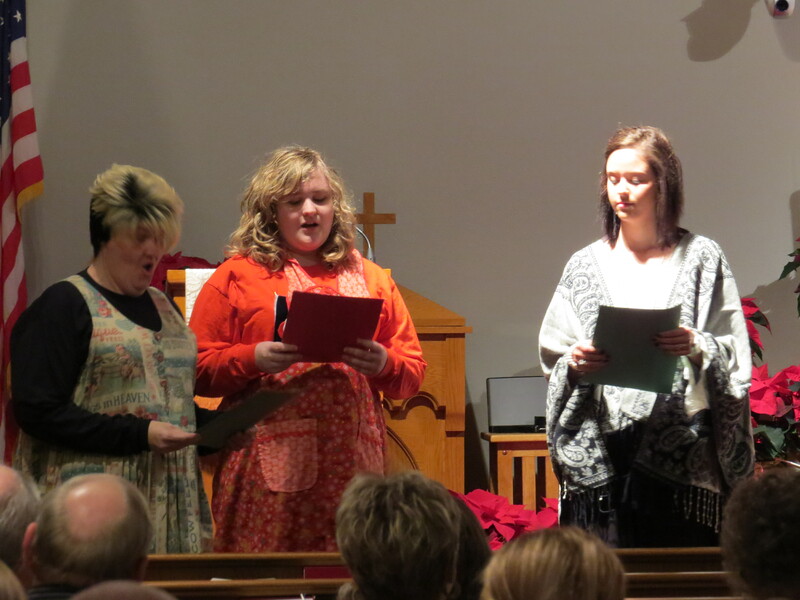 As they have done for most of the past many years, they are leading the service and presenting their play. 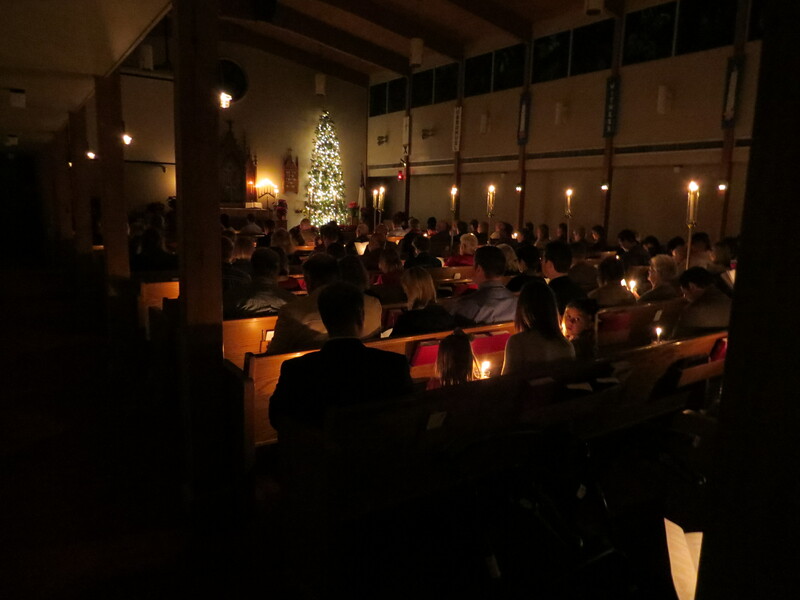 We look forward to seeing you at worship at 6 p.m. Christmas Eve, December 24. This will be a service of Word, Prayer and Song. This will be our Candlelight Service as well. Come to hear the Good News. Come to support our youth. Come to celebrate that Jesus Christ has been born for us. Also note: we will have our annual Festival Worship with Holy Communion on Christmas Day at 10 a.m.
We invite you all to a very special event here at MLLC. 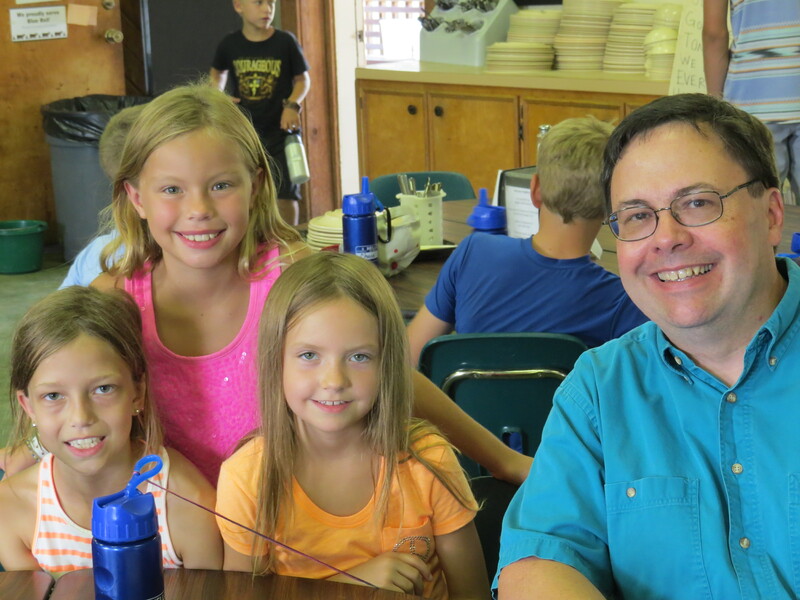 On the weekend of August 22-23 we will welcome Matt Kindsvatter, the executive director of Lutherhill Ministries. 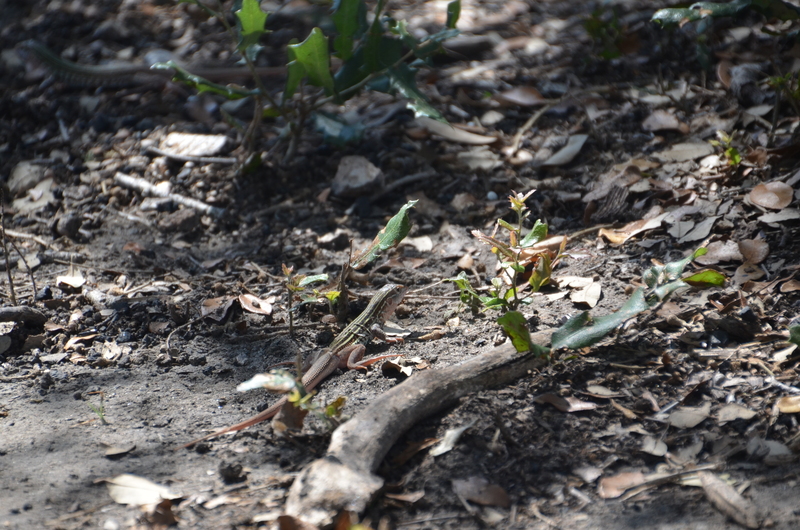 He is familiar to many people in MLLC. 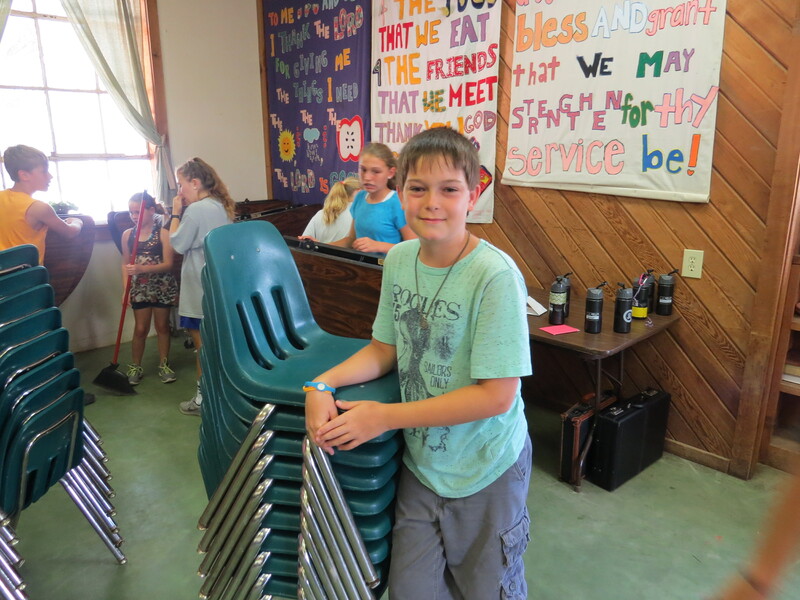 We know him from his previous visits to MLLC, and because many of our youth have attended summer camp at Lutherhill over the years. Matt will be our preacher at both of our weekend services. Invite your family and friends for these special times together. 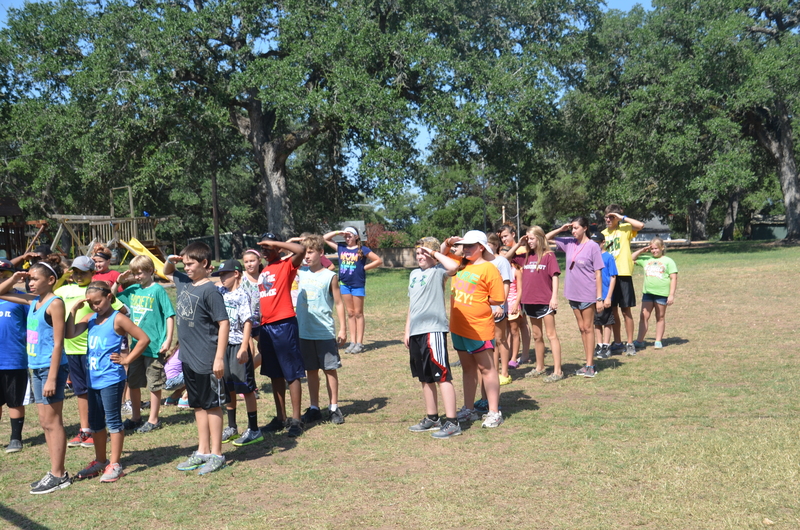 Let’s give Matt and the Lutherhill staff members a great MLLC Carmine Welcome! 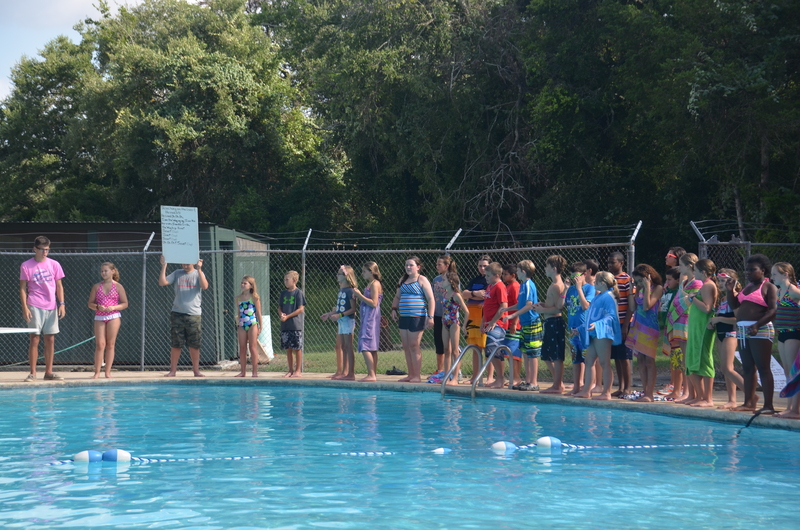 Saturday, August 22 at 6 p.m. – Matt will preach at a typical MLLC Saturday evening service. 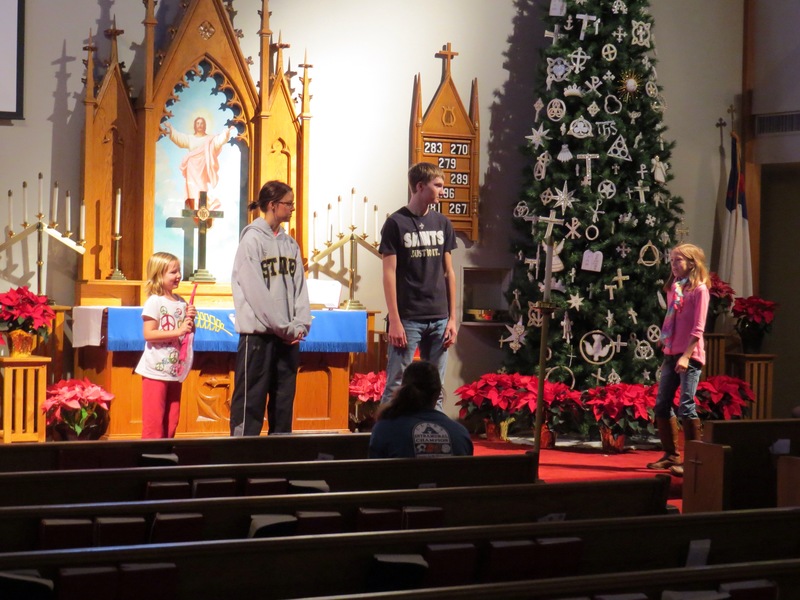 8:30 a.m. – children and youth invited to arrive early to prepare a skit for use in worship. These young people will meet with Lutherhill staff in the new Mission & Ministry building to prepare a brief skit which will be presented in the 9:00 a.m. worship service. 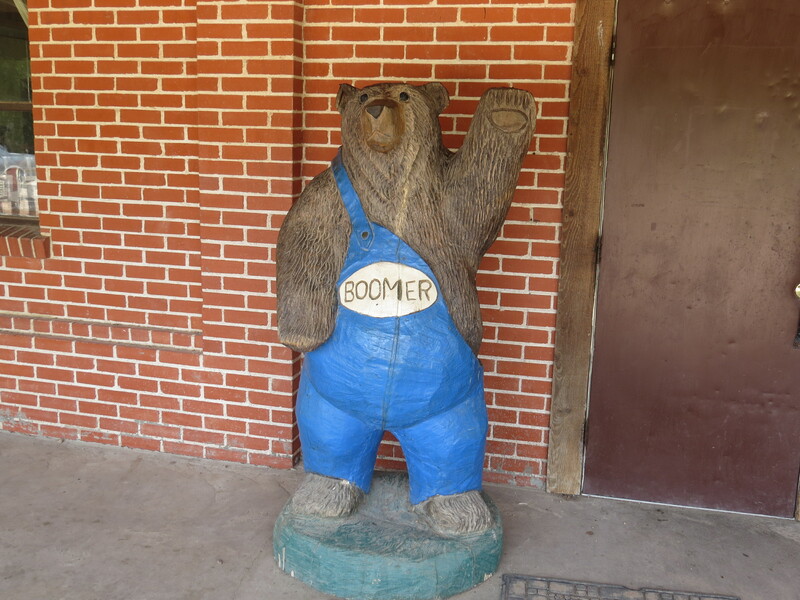 There is no reservation needed, simply arrive at 8:30 and join in the fun. 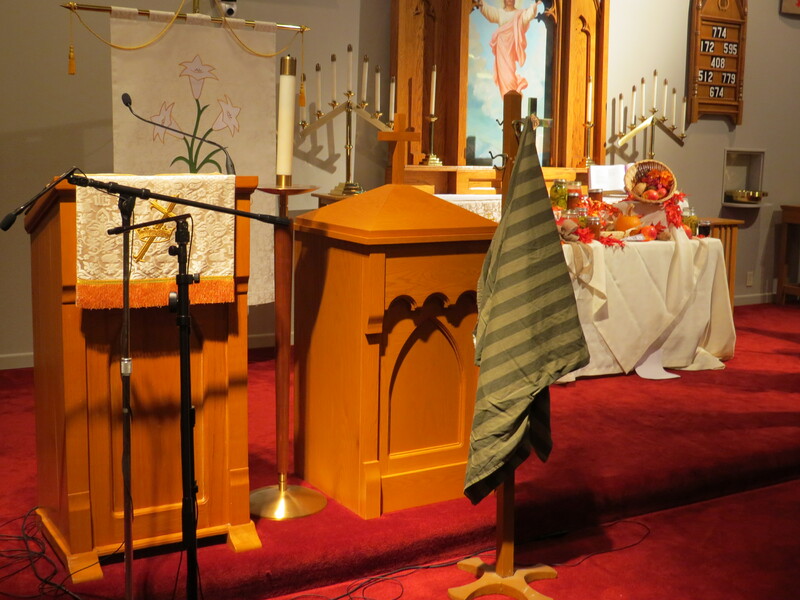 9:00 a.m. – worship in the Sanctuary. Matt and some Lutherhill staff members will lead all of our music this day. 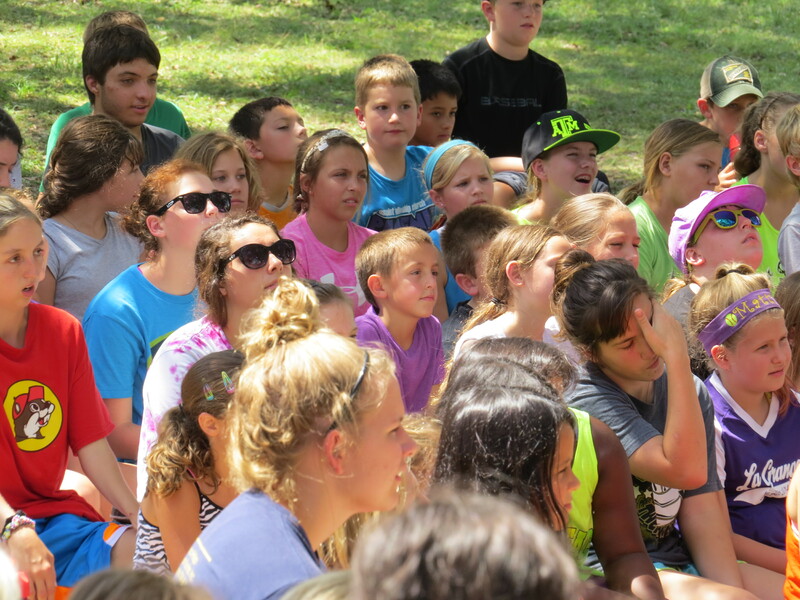 They will teach us and lead us in singing camp style songs. Matt will also preach at this service. Our youth will present the skit which they have prepared. 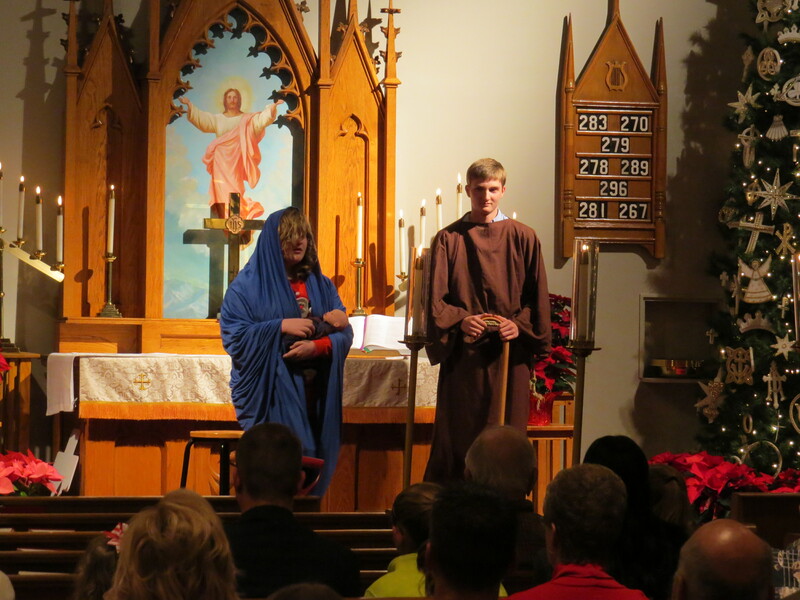 This skit will take the place of the children’s sermon for this day. 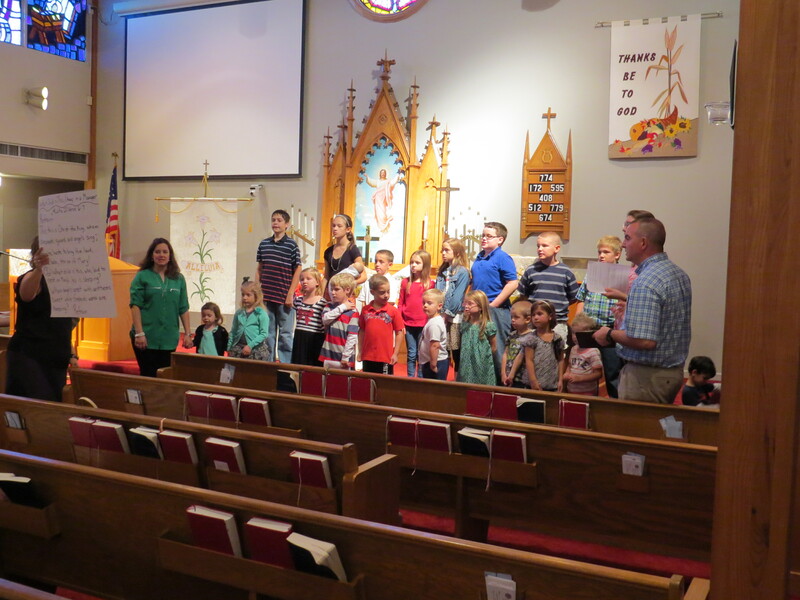 10:15 a.m. – Sunday School – Lutherhill staff will lead a children’s Sunday School lesson in the Mission & Ministry building. We have enjoyed their leadership in the past as they have come to do this over the years. 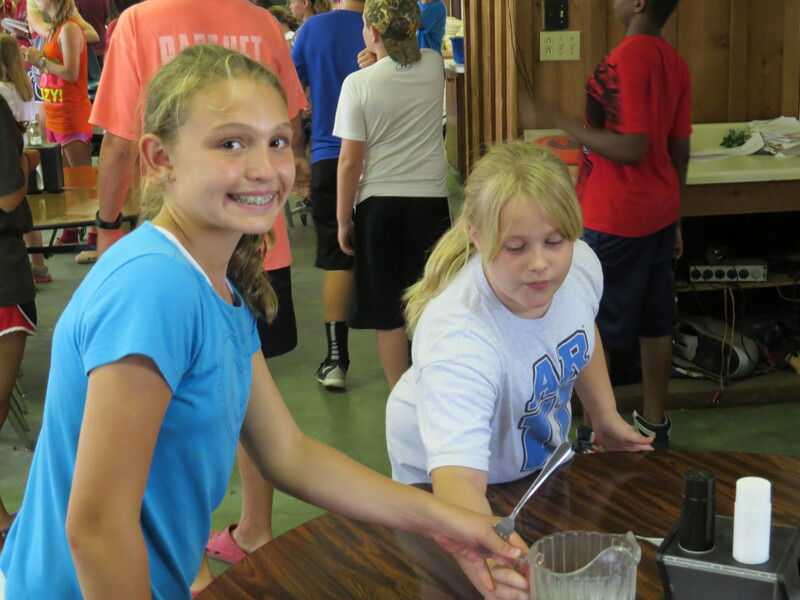 This summer we had a large group of MLLC youth attend camp at Lutherhill. 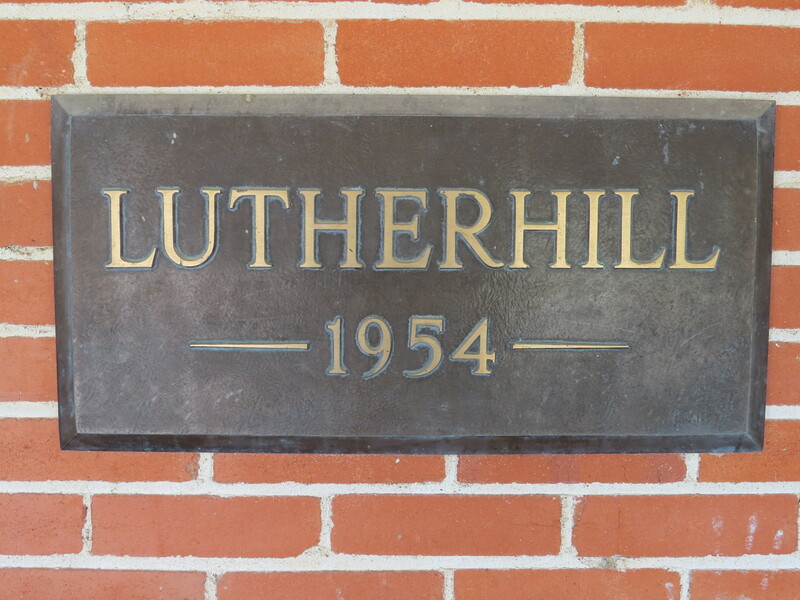 This special weekend is a way to celebrate the great summer experience we had at Lutherhill. 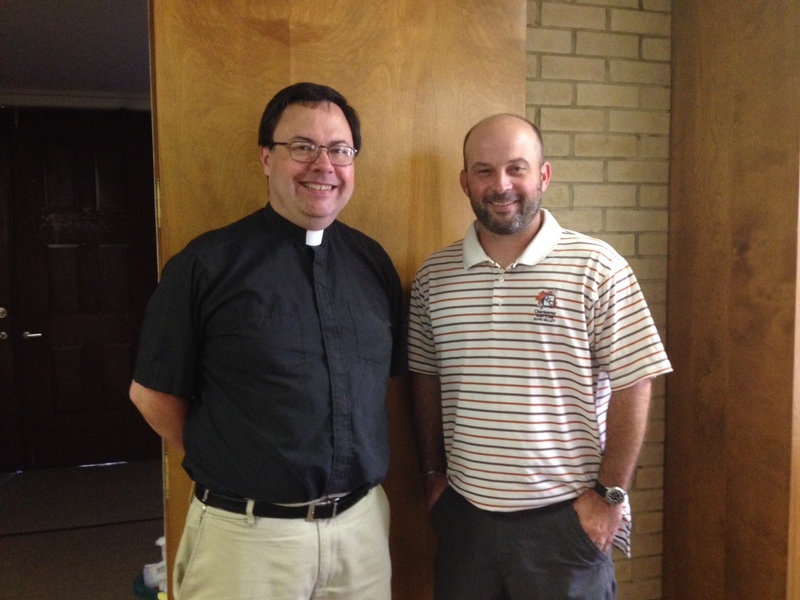 Here is a photo of Matt Kindsvatter and Pastor David Tinker after a recent meeting to plan for this special Sunday. 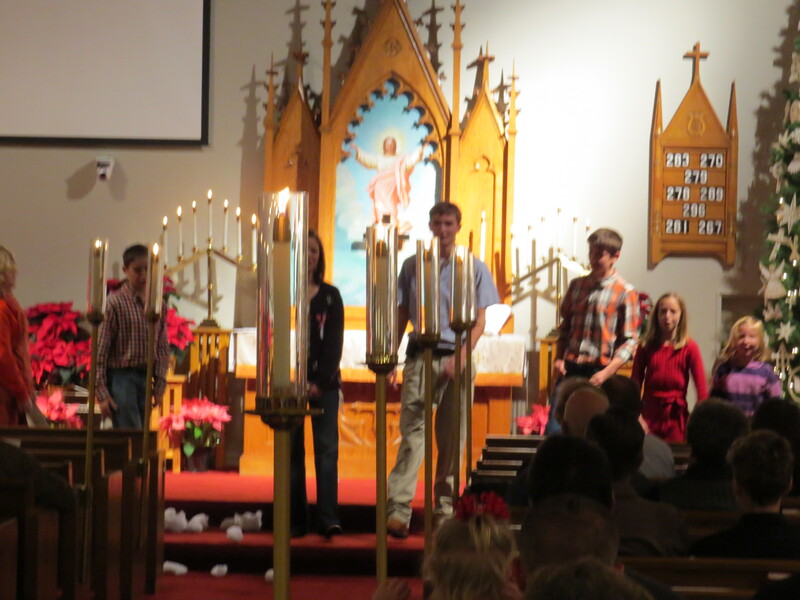 Our Lutheran Youth Organization (LYO) has been working hard preparing for Christmas Eve. They are leading the service and presenting their play. 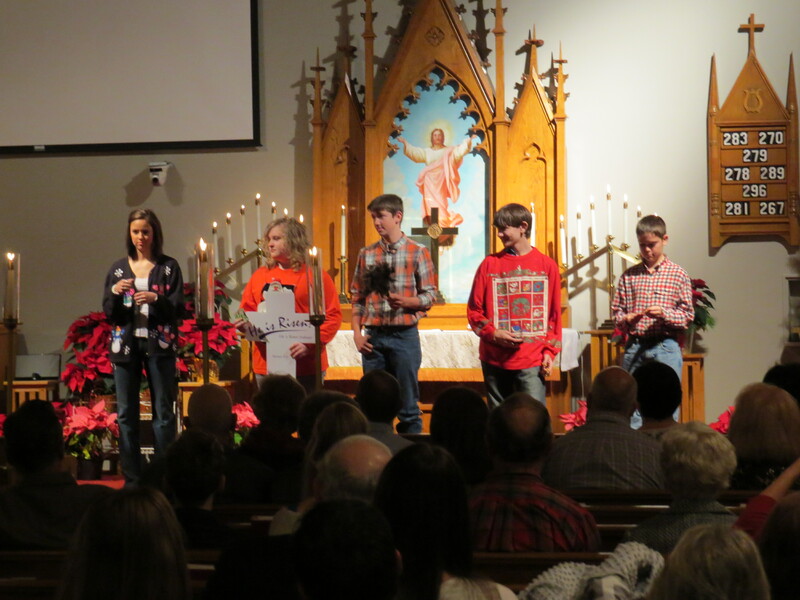 We look forward to seeing you at worship at 6 p.m. Christmas Eve. This will be our Candlelight Service as well. Come to hear the Good News. Come to support our youth. 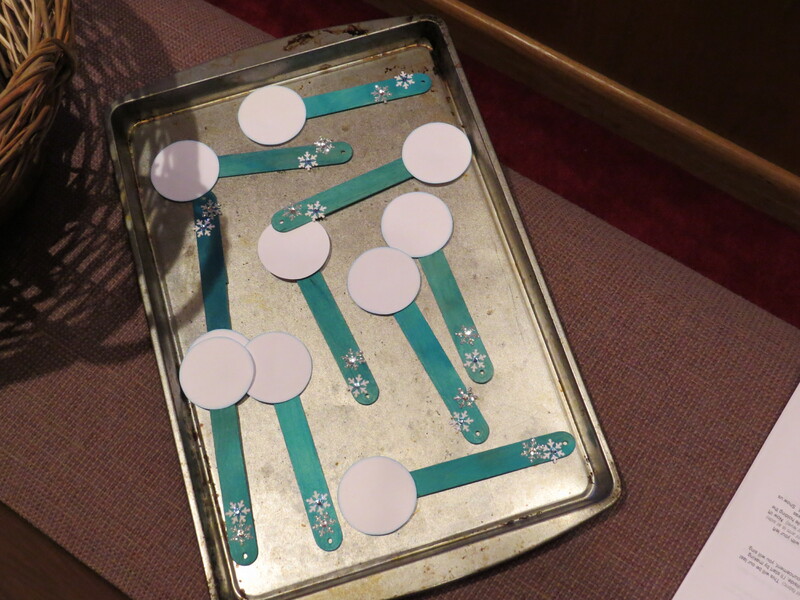 We will also have worship with Holy Communion on Christmas Day at 10 a.m. 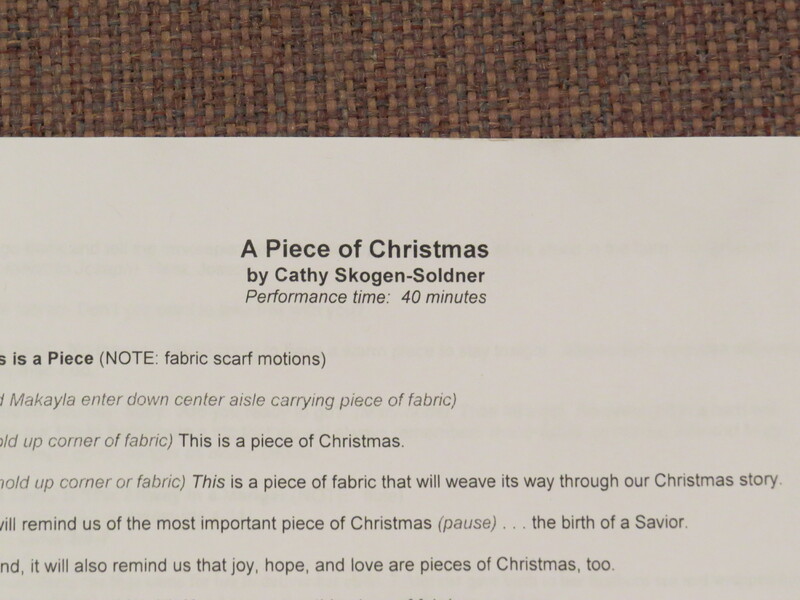 The 2014 Sunday School Children’s Christmas Program is currently in rehearsals. 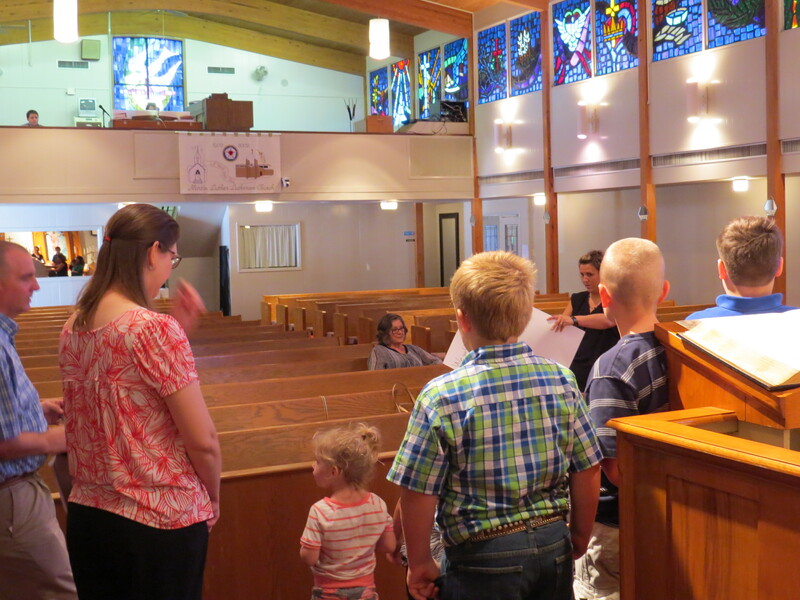 The children and adults are working faithfully to prepare for this annual presentation. This is always a fantastic program and we are thankful for the leaders, musicians and cast who make it happen each year. 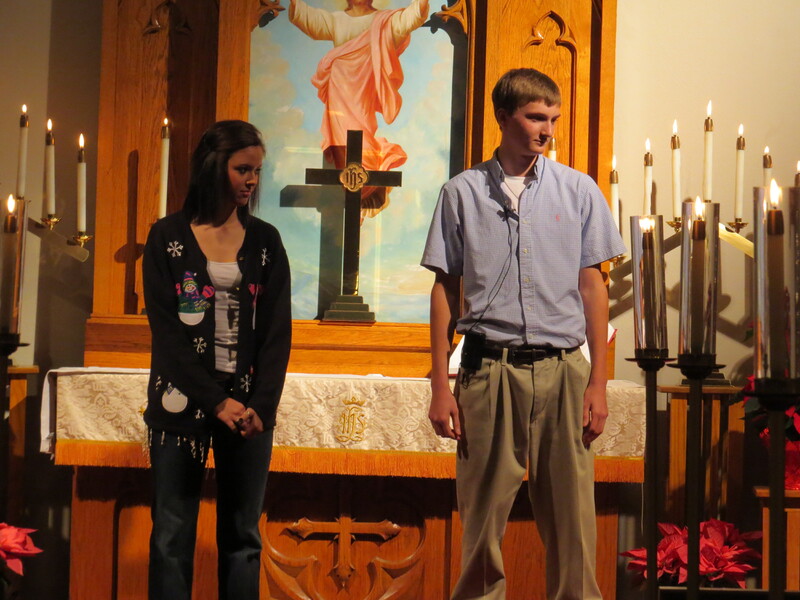 All are invited to attend worship on December 14 as these young people present the good news that Jesus Christ is born. Worship at 9:00 a.m. – the program will be the Word of God on this day, replacing the readings. Holy Communion will be offered as usual. ~10:15 a.m. – Jesus’ Birthday and Christmas Brunch pot luck. All are invited to this new tradition of MLLC. We will gather in the Fellowship Hall for this special event. Please know that this is for all ages and it was very well attended last year. Here are some photos of the rehearsals on November 23. We look forward to seeing you at worship and the Christmas Brunch on December 14th. This is a busy week at Lutherhill Ministries in La Grange, TX. 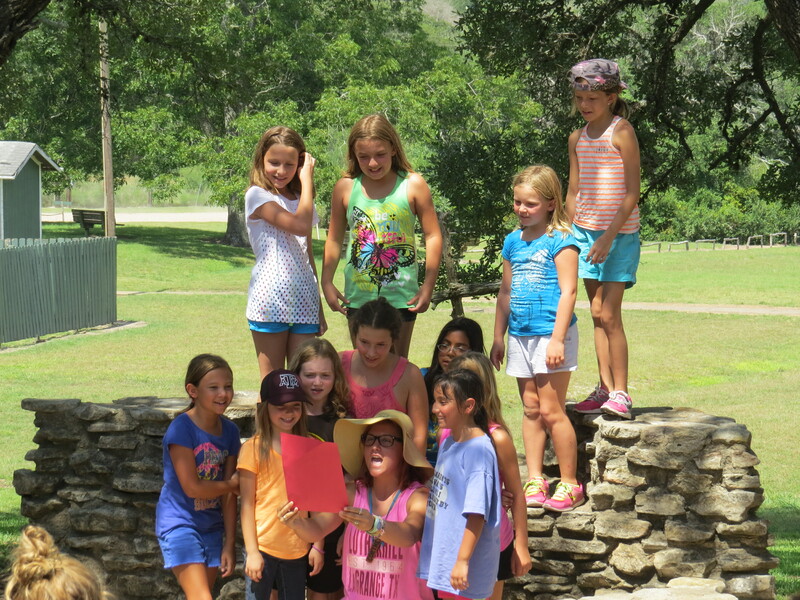 Along with youth from a wide variety of communities there is a combined contingent of campers from MLLC and our neighbor ELCA congregation, Bethlehem Lutheran Church in Round Top. 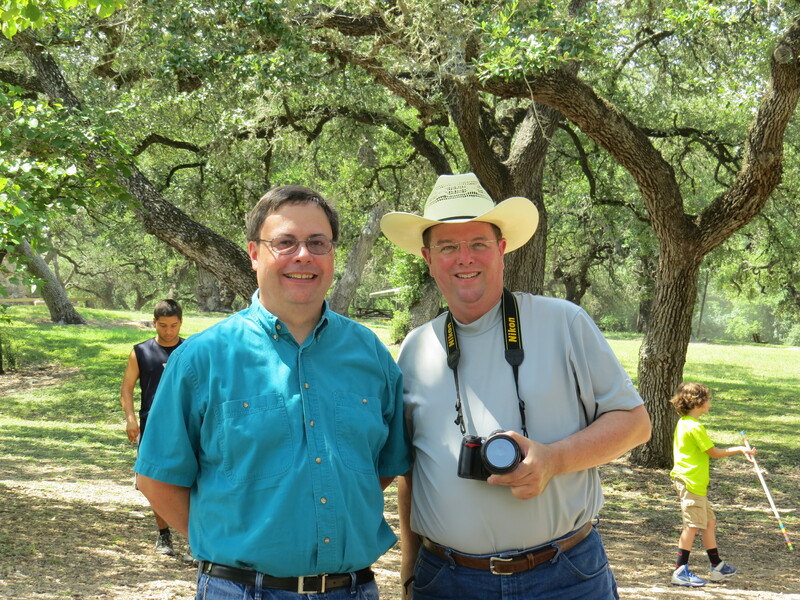 Five youth from MLLC were joined by several others of our friends in Round Top. 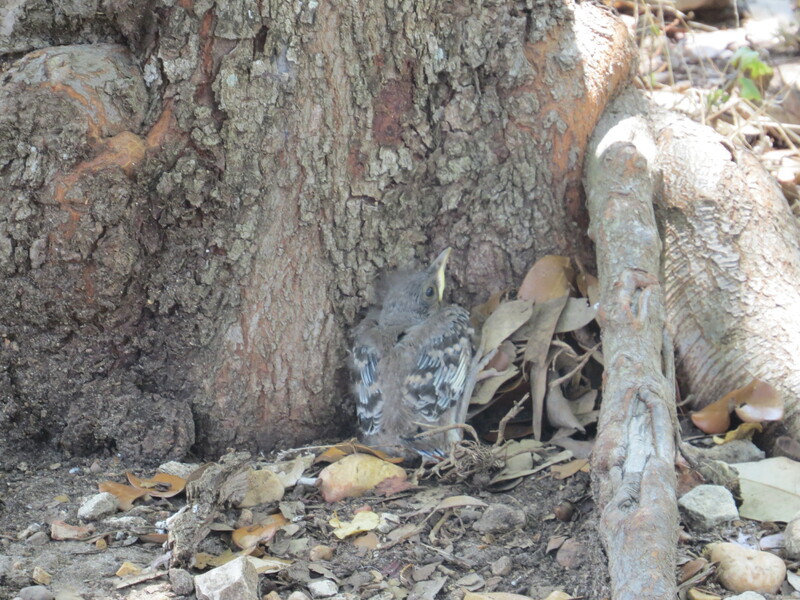 They have been spending the week at this excellent camp. 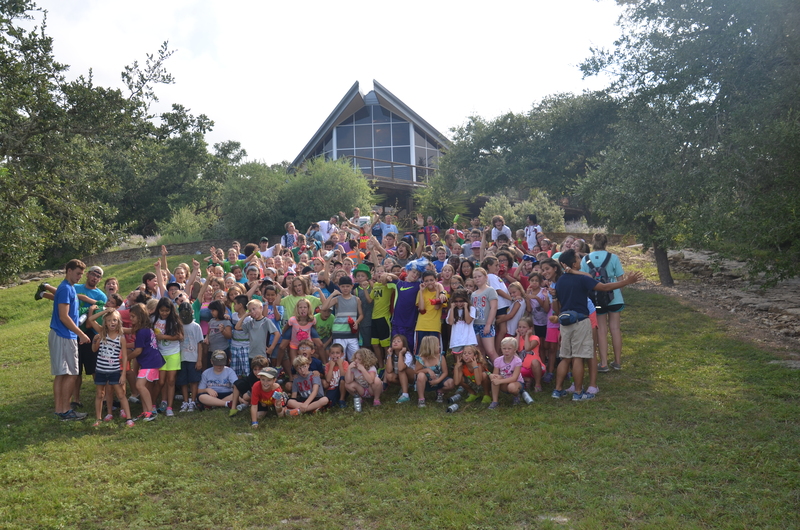 See the photo above with all the kids from these congregations – and an extra friend or two. 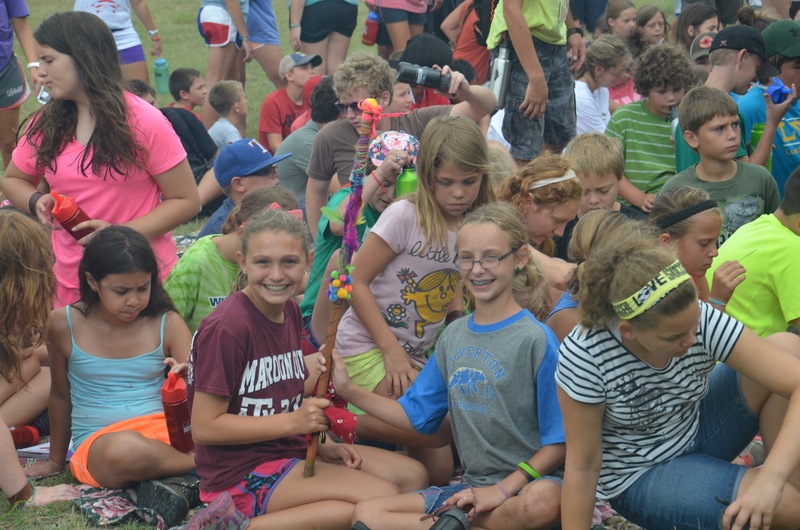 Several of the youth have attended camp at Lutherhill several times. One of the youth has lost count, for he has gone to Lutherhill maybe 4, 5 or 6 years in a row. 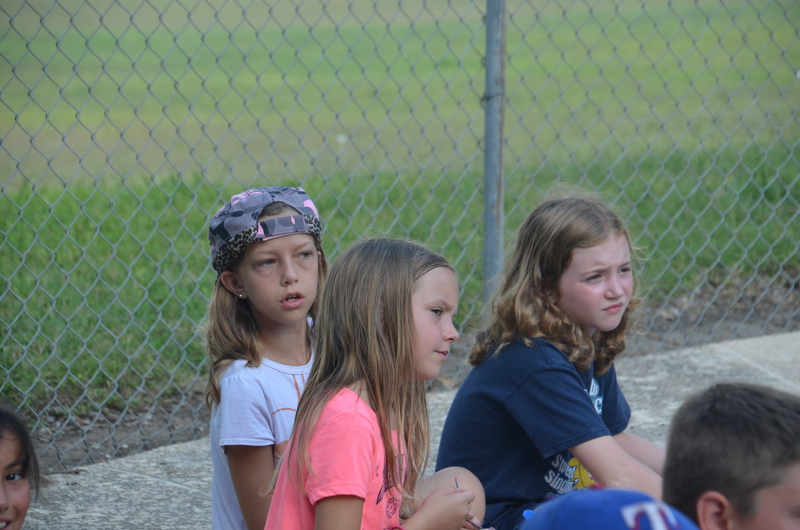 Some are having their first experience at this camp, and are hoping for many more summers. 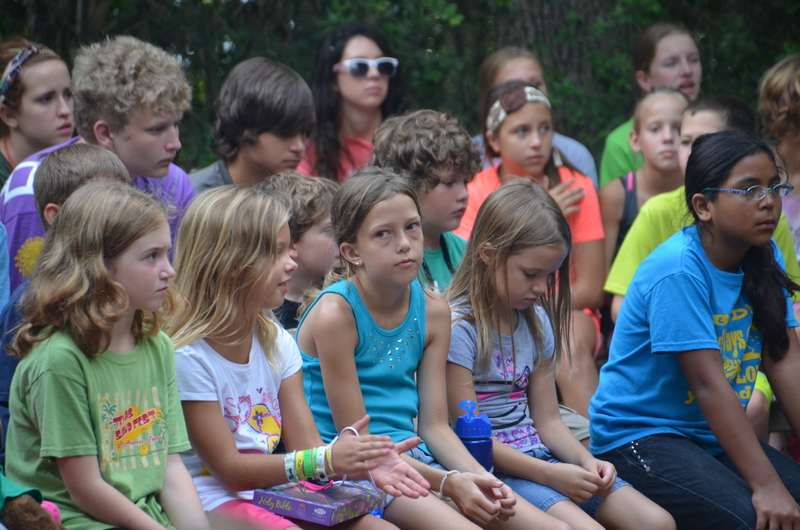 We at MLLC are big supporters of Lutherhill and Lutheran/Christian Camping programs. 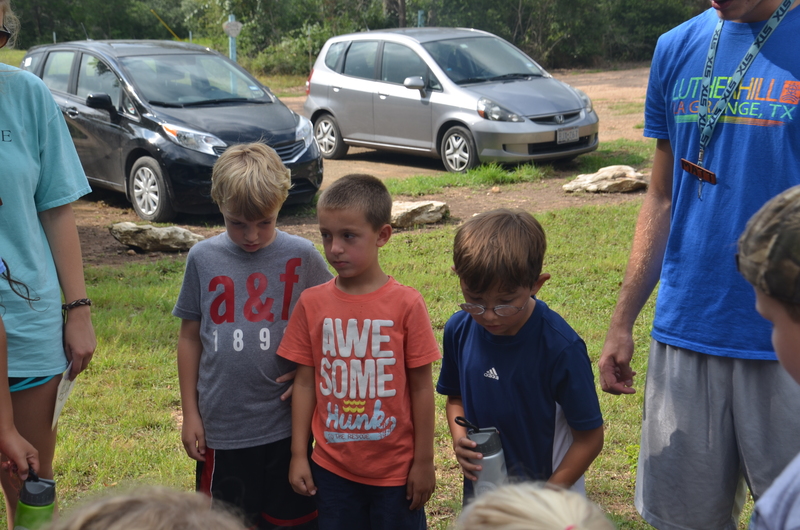 We also offer a partial “campership” for MLLC members who would like to participate in the summer camp programs at Lutherhill or other Lutheran summer camping programs. 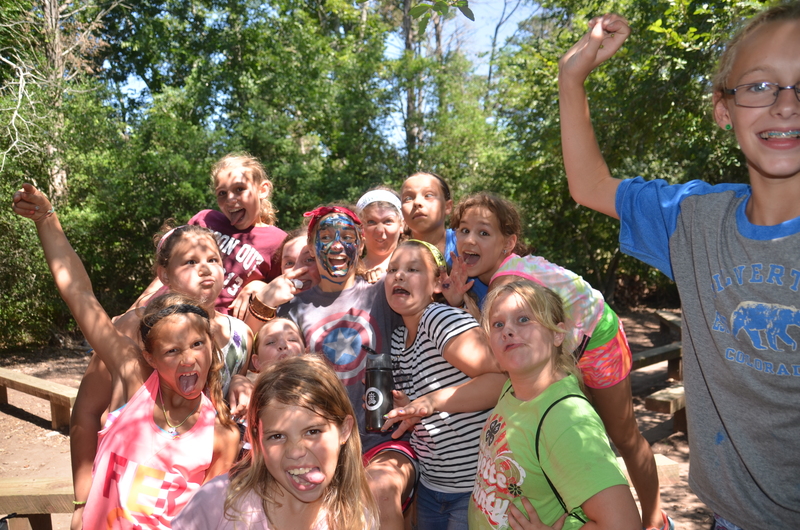 We will post more photos from this week at camp in the next couple of days. 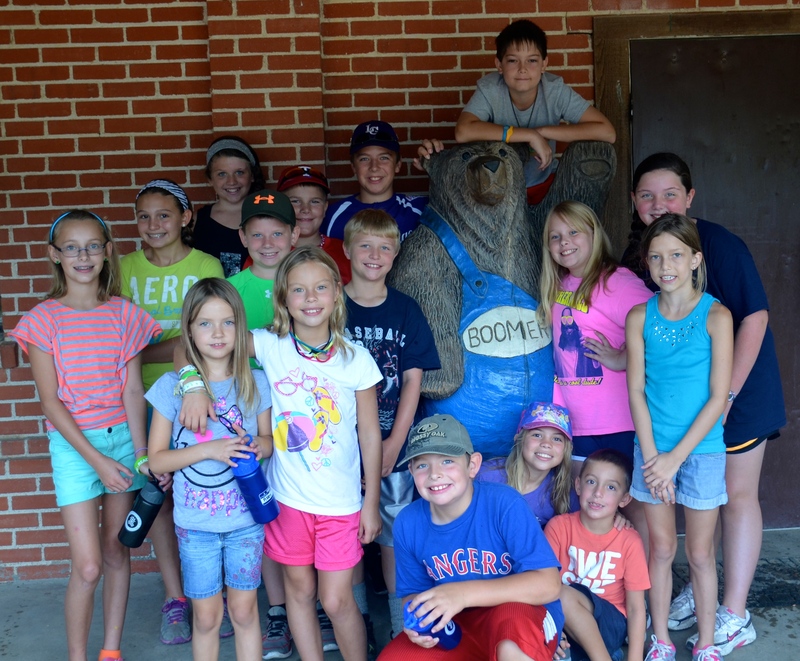 Remember to keep these youth in your prayers as they grow in Christ through the camping programs of Lutherhill Ministries.